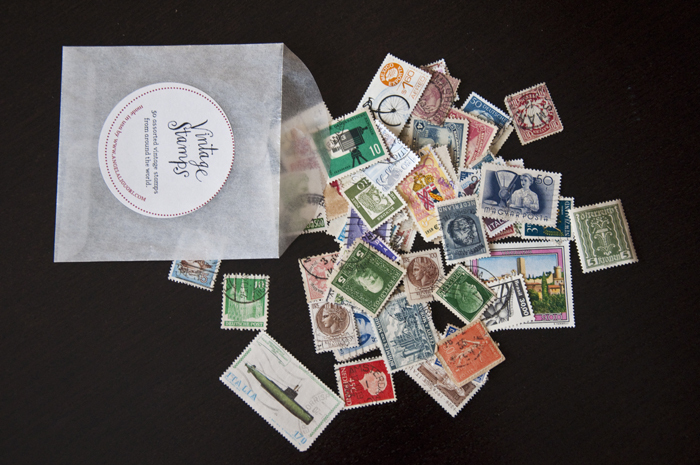 Did you know postage never expires? It’s true. As long as you’re licking and sticking unused or uncanceled U.S. Stamps, and their face values add up to proper postage for your letter, you’re good to send. A first-class mail letter weighing one ounce or less costs forty-six cents. Keep in mind, these old stamps were a song. At three cents or six cents a pop, you’ll have the envelope covered before you get to forty-six. A lot of you lovely readers write to me requesting advice on finding a pen pal. These requests make my heart swell—look Mom, people still want to write letters! I recently stumbled across postcrossing and all but clapped my hands with delight. 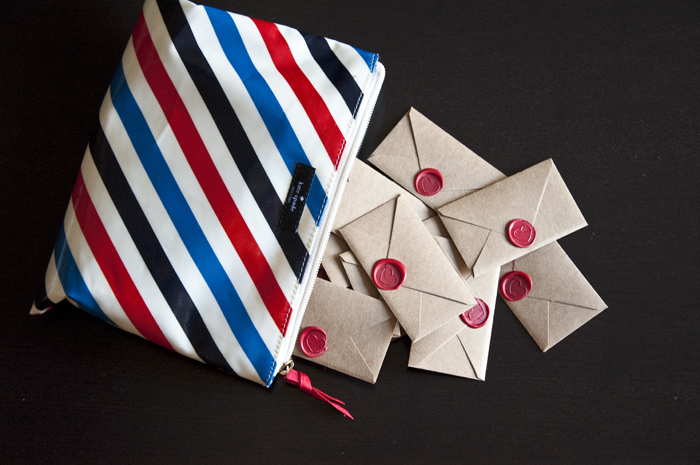 Pen pal seekers, listen up. I must give credit where credit is due. 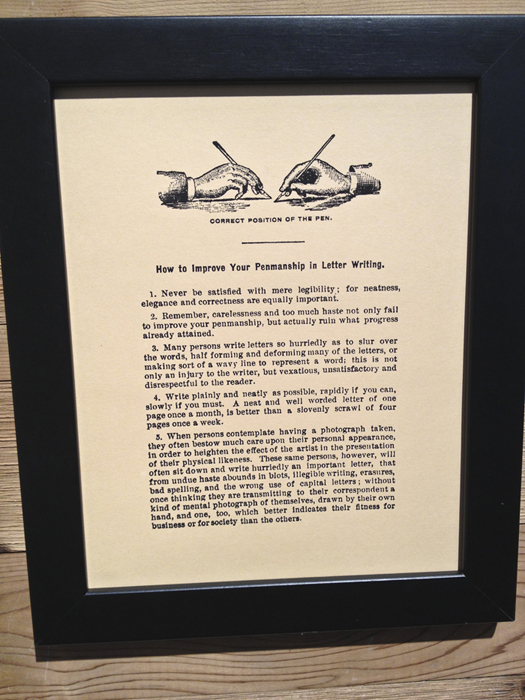 My Mom recently came across a case for letters of the paper variety in Departures Magazine. As chief LFL fan + supporter, she perks up at any mention of stationery or letter writing (thanks for all the typo catches too Mom). This was a real find and a must share. I recently stumbled across this brilliant poster by the husband wife duo, Old Tom Foolery (tell me you’ve seen their infamous mustache typeface poster?). It’s got me thinking about handwriting in a big way. Sometimes, someone else says it best. Like this lovely and accomplished septuagenarian Phyllis Richman. I was totally taken with an article published in The Washington Post earlier this month. It was written by Ms. Richman, in response to a letter she received from Harvard University in 1961. I encourage you to read both (really, three) letters–a shining example of so many truths in this life. P.S. The Washington Post article can be found here. 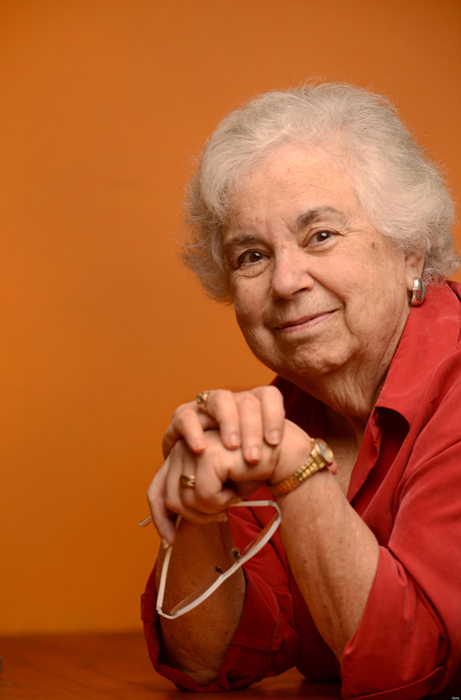 Phyllis Richman’s photo was taken by Linda Davidson for The Washington Post. P.P.S. I love that she kept the letter for fifty-two years! If you follow me on Instagram, you already know I was having more fun than should be allowed on Thursday. I had the distinct pleasure of attending Alt Summit NYC, held at the Martha Stewart Living Omnimedia headquarters. It was a glorious day of crafting, learning, eating and meeting like-minded souls. It was good stuff friends. It’s no secret, I love mail of any kind. Packages are particularly exciting, oh the anticipation of what’s inside! A few weeks ago, I ordered some temporary tattoos from the creative geniuses at Tattly. I am over the moon about the tattoos—they are so lighthearted and remind me of childhood summers. But I was totally enchanted by the smart package design. 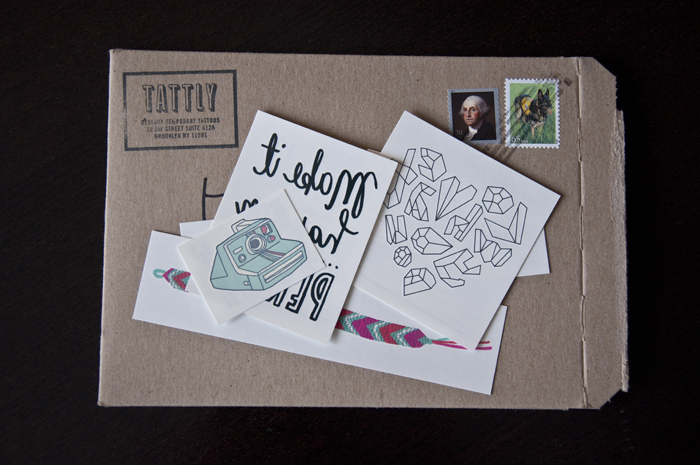 The tattoos come neatly tucked into a heavyweight cardboard envelope with the Tattly logo doubling as a return address. Best of all–they use real stamps, and the U.S. Postal Service to deliver. I’ve enclosed a few ‘tats’ in some recent correspondence (to the great delight of my recipients). 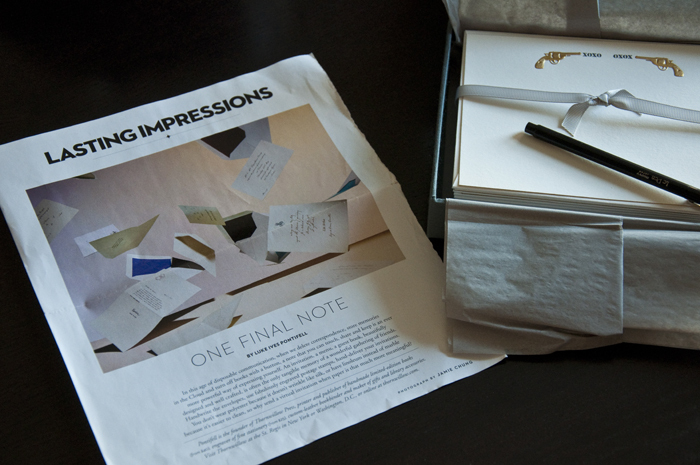 Don’t you just love the idea of an envelope surprise? 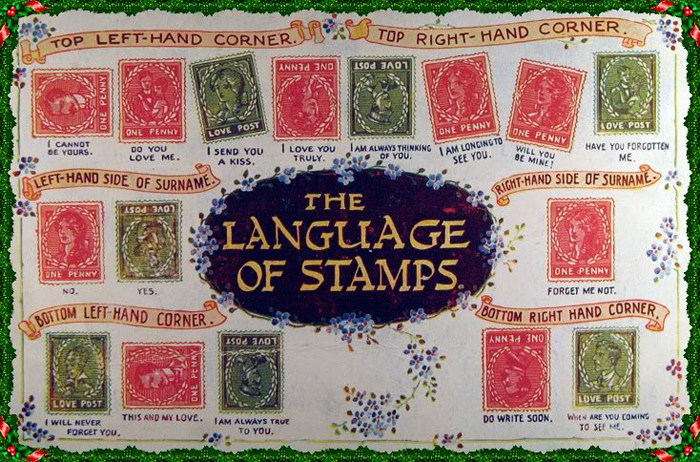 The language of stamps emerged in the early twentieth century, during the Victorian era. Stamp placement became a discreet way of communicating affection during a courtship–this method was especially favored by young lovers whose parents often censored mail. 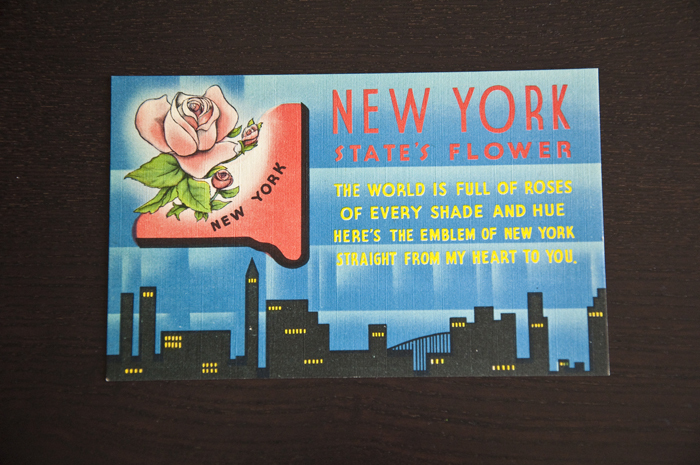 And it became more widely favored when postcards grew in popularity. You wouldn’t want the postman to freely read all your heart’s desire, would you? 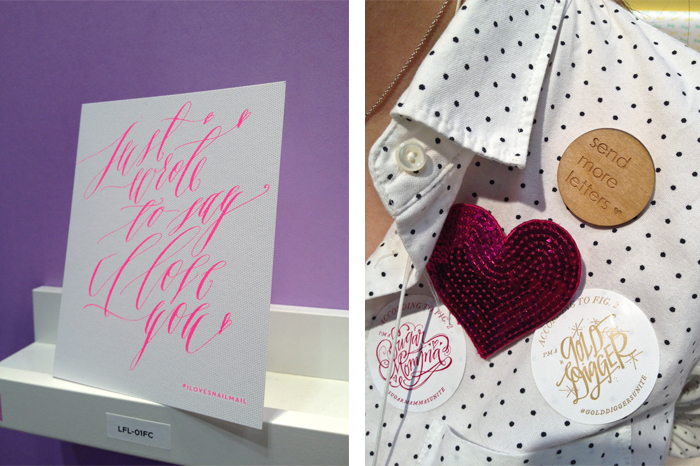 Two weeks ago I had the distinct pleasure of attending the National Stationery Show. Talk about a kid in a candy store. There were so many talented designers present and such beautiful creations to oogle. I snapped a few iPhone photos while I weaved in and out of the aisles and aisles of paper—oh my! The worst part: you can look, but you can’t buy (until you finally have a stationery store and all your dreams are realized, ahem). While they aren’t stamped letters, they are quite reflective of our modern day correspondence. 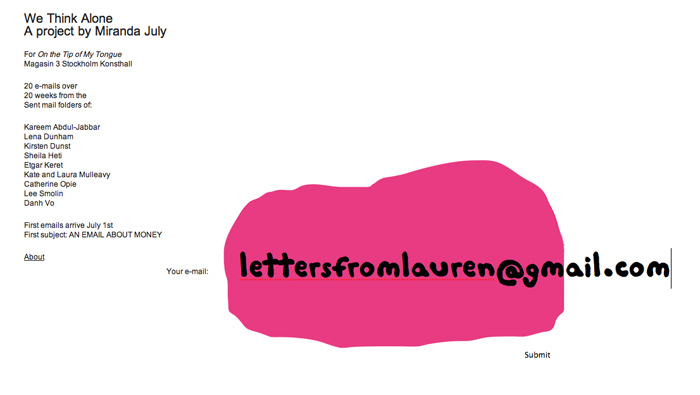 And who wouldn’t want an email from Lena Dunham? !